While it's still a little brisk, winter finally seems to have left us. It has been a long, brutal, at times unbearable winter. I'm still longing for shorts and flip flops weather, which still seem a long way away, but I'm finally starting to feel like winter is coming to an end. 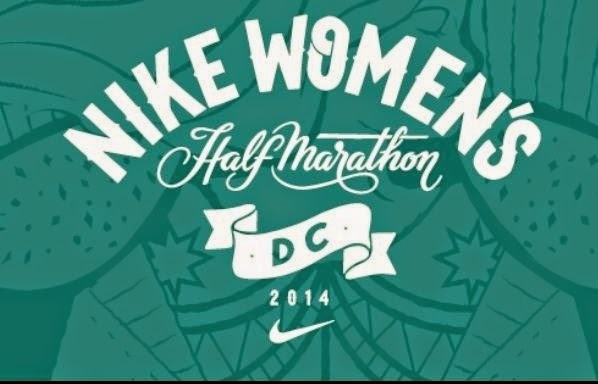 This month, I will *hopefully* run my the Nike Women's Half Marathon. It won't be fast and it might not be pretty but the 6 1/2 miles I ran this weekend give me a little bit of confidence moving forward with my training. I'm slightly terrified of the 8 miles I have on deck this weekend, but if I can make it through that run, I'll feel great going into the rest of my Nike training. With the warmer weather, I'm starting to be a little more motivated to get some stuff done so I've made a list of goals for the month of April. A lot of them reflect my goals for the year, so here goes! Keep up with my PT exercises as part of my workout routine to get to a healthy start (and finish!) of Nike. Get back into meal planning. Don't buy lunch at all during the work week. Start organizing my recipes (and actually making them). Finish the last of the big wedding details and start working on the smaller ones. Organize the linen closet (this has been on my to-do list since January). So, that's what I'm working on this month. What about you? Any races on the agenda? Great goals for this month and I agree, the weather makes a huge difference!! This month I'm so excited to start walks with my little one and maybe I can run a little bit here and there. Can't wait to get the official "clear" from the doc on April 23!! Now that the weather is nicer, I plan to bring my lunch more often to work and go sit by the lake at a little park to get out for the day. It's hard to do that but I just need to force myself, even if it's not every day! I also don't want to keep spending money on food. I did so well before on saving it but I let that go. Need to remember it again!